Hai.. yesterday, I really enjoy reading new series of Naruto manga. It is about Uchiha Madara who was destroy Konoha with his control over Kyubi was stopped by Forth Hokage, Minato. 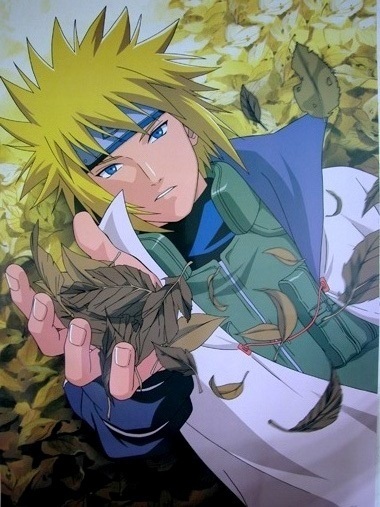 I really surprises that Minato can defeat Madara. How skill he is! Cool man. Now we know that Madara can be defeated with God Thunder Move like the forth used. I hope Naruto can somehow discover this tecnique not only to defeat Madara but to face sasuke too! To fight Sasuke, Naruto need the fast movement! It can be concluded that Madara was such a loser! Like Itachi said before. He lost not only ones but twice!! Haha.. He can't defeat Sodai Hokage and then, He even lose to the young Shinobi like Forth Hokage haha.. How funny he is.